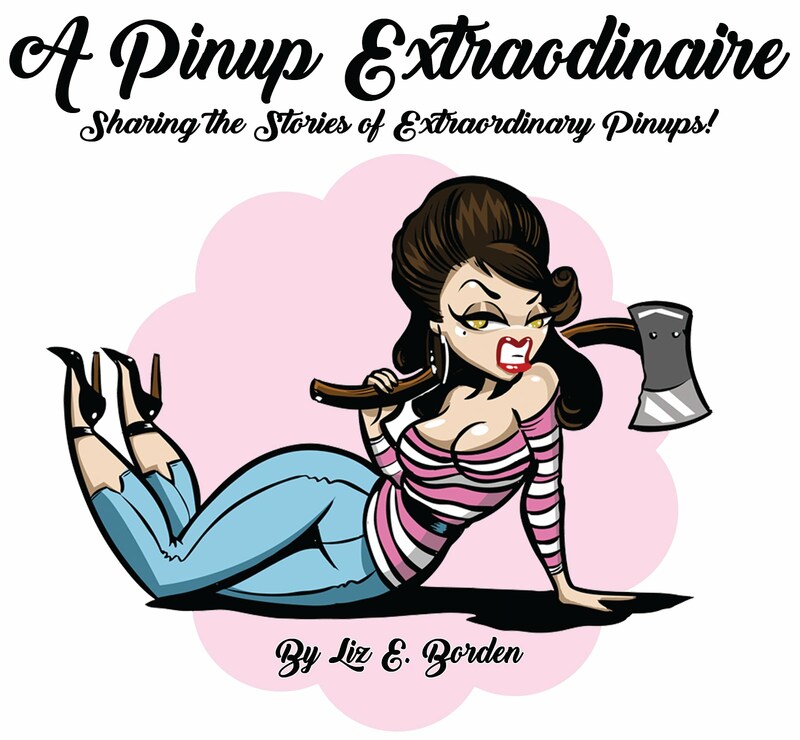 Recently, I interviewed fellow pinup, Mandi Sinn, about her involvement in Pinups for Patriots. This fabulous group of women is dedicated to re-establishing patriotism and supporting military veterans and their communities! If you're not familiar with the group (and even if you are) - here's a chance to learn something new! To bring back the patriotism of the WWII era while supporting our military veterans and their communities. To be recognized nationwide as the largest group within the pin‐up community supporting our service members and first responders. 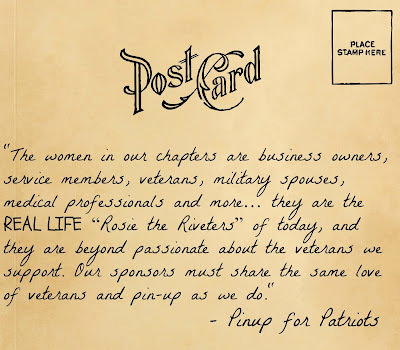 "As an organization founded by a veteran, Pinup for Patriots is privileged to have inside knowledge into the needs, wants, stressors and day to day concerns of today's vet. One of our focuses is on PTSD as it relates to our returning military. Additionally, we understand there was a time where vets were revered for their service. We see a lack of that reverence now and find it just as important of a need today as it was during the WWII era. Concurrently, we want to recognize our first responders as they are often working side by side on the home front with our military." Pinups for Patriots is founded and created by Miss Kay Marie (Kalen Arreola) of San Diego, CA and has active members in 13 states. Mandi Sinn is the Events Coordinator of the Illinois chapter, which includes 11 amazing ladies, and is actively seeking new members. 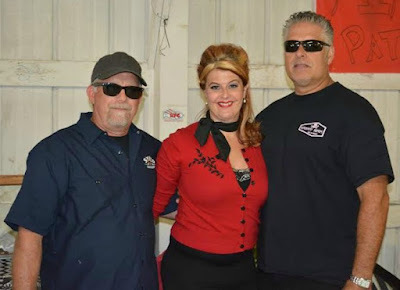 Mandi in action at the Pinup for Patriots booth during Jalopy Fest! 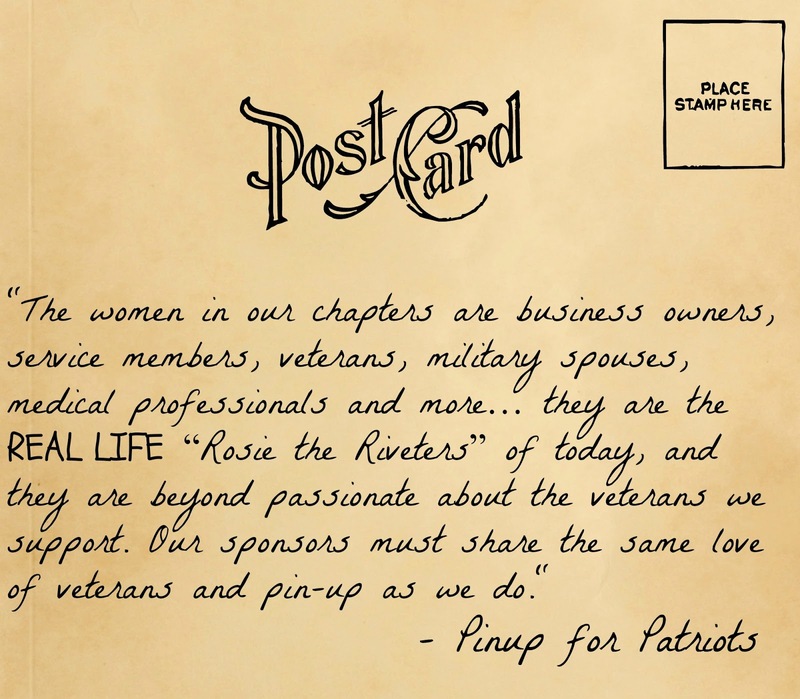 Pinups for Patriots is a female veteran-owned small business that generates revenue through sponsorships, events, and product sales. Currently, they donate to non-profit organizations that partner through events but will begin offering grants to non-profits in 2016. The Illinois Chapter is currently working on letters for the Lake County Honor Flight Vets for the month of October. Additionally, they are investigating attending the National Wreath Across America Day at the Abraham Lincoln National Cemetery. Contact Mandi Sinn, Events Coordinator PFP IL @ mandisinn@gmail.com for appearances at events in Illinois, Indiana, Iowa, and Wisconsin. Want to know more or just explore the website? Check it out here. Thoughts or comments on today's post? Share below, please!